When I don't take pictures of my breakfast, I eat PopTarts. At first, it was the the organic PopTarts from Trader Joe's, but now I have stooped to the generic-not-organic-not-whole-wheat-ones. I need an intervention. However, Margaret loves them and they (somehow?) keep me full until lunch. When I remember about my 9:00 meeting with a client while pulling out of my driveway at 8:40, my usual 30 minute drive to work miraculously turns into 20 minutes. I also learned that my Terrain can off road just fine because my new neighbors had their cars' parked in the middle of the street(?). After I honked a few times I drove through their grass to get to work. Crazed, late, pregnant women who just drank their one cup of coffee for the day will do anything. I hope I made a good first impression. 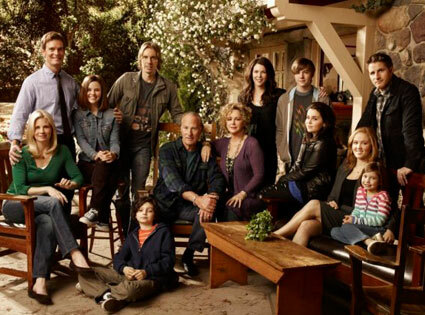 When I watched this week's episode of The Parenthood I ugly-cried. Actually, it was more of an hysterical sob. I literally couldn't catch my breath. If someone would have come to my house he/she would have thought the worst. Don't watch it. But do watch it, because it is such a good show. When I meet up with my friends from high school, I am soooo happy. Sarah (bottom left, who is doing her residency in North Carolina and who I visited a few months ago) is in town for this week and we all met up last night. Even though our conversations have changed from boys, shopping, and homework, to parenting, work-work, and maybe still a little boys and a little shopping, the dynamic still feels the same. Seeing these girls fills my heart. When I open birthday presents I am so excited. and little bowls. When I got home and showed Dan, I told him that I was going to use these for my ice cream. He laughed and asked if I was going to use all 4 at once. Whatever. My ice cream serving size may need a reality check and these bowls will help. What is your favorite Pop Tart flavor? I have mostly stuck with brown sugar and cinnamon, but I saw pumpkin pie at the store the other day and almost bought them. Are you still friends with your friends from high school? I know a lot of times people lose touch with high school friends - and I have with some, but feel blessed to still be close with a few. Gah, I missed Parenthood this week! I've so many comment about needing a tissue. I'm gonna have to watch it on Hulu tonight. P.S. I want a PopTart now. I haven't watched Parenthood but my friend was just telling me about it last night. Not a huge pop tart fan (the WW points!). But I think I would like to try pumpkin. One of my best friends is a friend from high school. I missed you reading too! :) I do try to stay on point, but that is because in 6th grade my English teacher would scratch out half of my papers, saying a lot of my words were pointless. Ha! Now at work I have to always add MORE detail, because they say I am too brief. Haha. Should I say "sorry" or "you are welcome" for telling you about the pop tarts? Haha. Oh Racheal, Pumpkin Pie, I must find these. I saw pumpkin donuts the other night, and had to pull myself away from the shelf. I did not give in. When it comes to pop tarts, chocolate fudge are my favorite, more so when put in the toaster. YUM! I have two girls from high school that I have been friends with for more than 20 years. Oops just gave away my age. :) One has been there for me through everything. spats with my hubby, the birth of my daughter, and she was a phone call away when my dad died 8 months ago. I cannot imagine her not in my life.